Who is hosting your web site? Does it look professional and represent you well? Who is visiting your site? Where in the search engines is your web site ranked? Where in your marketing does it appear? Your web design, web site content and web hosting affect all these so if you aren't sure, then you need to talk to Netwise. Netwise offer secure web hosting data centres for your site, and our internet marketing and search engine optimisation will ensure that your site receives the attention that it deserves. We offer a huge range of options, from 3-page entry level web sites to control panel driven e-commerce sites, allowing customers complete control of their sites without any specialised knowledge being required. Netwise email includes spam filtering and webmail access. 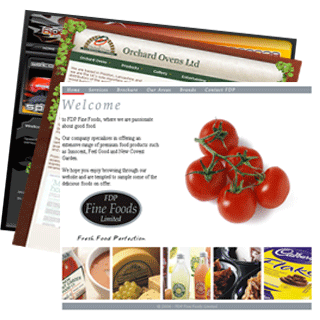 As experienced designers, we specialise in providing bespoke design and e-commerce solutions for each customer, with tailored internet marketing.